From emails to corporate parties, working in a multicultural team brings its own challenges, not only related to different nationalities or native languages spoken. Been there, done that. The monocultural team is a thing out of the past. Innovative startups tend to build strong teams with cross-cultural talent and harvest the benefits of diversity. However, it is tricky to get a group of people from different backgrounds and mindsets to work together seamlessly, especially when they are scattered around the globe. 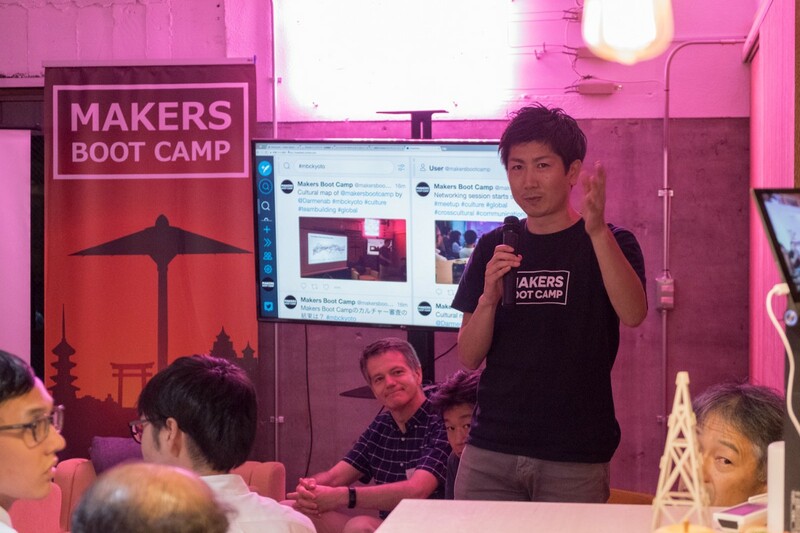 Makers Boot Camp invited successful startups with culturally diverse teams and business experts to prove that it is possible. As someone who grew up in Sao Paulo, Brazil and now works with an international team in Japan, Makers Boot Camp Head of Marketing & SalesSabrina Sasaki perfectly understands the profound differences that can exist in cultural businesses styles. She’s not an exception, but it is quite rare to hear a story about a startup that hired a Foreigner as a first full-time employee. It was exactly her case: with zero Japanese language skills plus Scandinavian, French, American and Brazilian environment experiences, it was here that she learnt how much cultural gaps can impact the results at work. ‘At Makers Boot Camp, we have assembled a multinational team with a diverse set of skills and backgrounds. It sounds amazing but in reality it’s never been easy’, she says. MBC team includes a number of nationalities, bringing together people from Japan, US, Germany, Brazil and Ukraine, who have worked in a vast range of fields, from startups to large corporations: PR & Media, Financial & Investment, Engineering & Manufacturing, Software & digital agencies, Business consultancy, and many others. Additionally, this summer Makers Boot Camp has hosted three University of Texas at Austin interns, who traveled miles away from home to bring a diverse set of experiences and knowledge and build an international business climate. Makers Boot Camp’s team with interns at the Kyoto University booth: Abby, Danielle & Suzie (US) Amanda (Brazil) and Takumi (Japan) joined Community Manager Futagami Mari. Jin Nonogami, CEO & Founder of VELDT, one of our successful portfolio startup cases, was invited as the first guest speaker of the event. He found out about the event topic and decided to share his own challenges. His company, developing a next generation of luxury smartwatches set to transform high end customer’s life, is in the midst of expanding its business to new markets. Since 2012, VELDT has grown in size and scale, and now boasts offices in Japan and Silicon Valley. As the team has grown, Jin found that working in multicultural environments requires many adjustments to fit in. ‘One of the key lessons I’ve learned from launching overseas office this May is that when introducing a product in a new city, one must understand the challenges in the local culture and unique society’, says Jin. As the team is counting months for a new product release and vital partnership to be announced soon, VELDT’s captain is getting ready to navigate through rough waters of cultural expansion. Read more about VELDT smartwatches which give you more time to look around the real world. The second speaker, Ken Miura from Douzen Inc. has been managing culturally diverse teams for years. ‘Being bicultural and bilingual is a tremendous advantage’, says entrepreneur with years of expertise in both Japanese and US tech industries. Founded in 2015 with offices in San Francisco and Boston, DouZen develops Halē Orb, a tennis ball-size wireless device that makes it fun and easy for families to upload, share and view a curated collection of personal photos and videos on a large screen. It is designed to help families to interact, not just to the early-adopters tech savvy. Ken labels Hale Orb as an Enchanted Object, a term coined by award-winning product designer David Rose (MIT Media Lab) before ‘IoT’ became a buzzword. Enchanted Object is powered by the magic of Internet but all complexity is hidden away from the final user. Technology has made it easier for startups to operate with team members scattered across the world, says Ken. With employees working from San Francisco, Boston, New York, Japan, he recalls no problem whatsoever. However, when a demand arises to make an integrated part and work together, it’d be much better to have a chance to get everyone in the same room, with a whiteboard to brainstorm over the possible paths to go. ‘No matter how good your business plan or service is, a bad culture will kill it’,says Darren Menabney, aspiring storyteller and GLOBIS University lecturer. Inspired by a quote attributed to management guru Peter Drucker, ‘Culture Eats Strategy for Breakfast’, he argues that founders should create and nurture a culture in their company if they want to succeed in any kind of business. How to purposely design a culture? Create rituals. Exercise activities, say, having lunch together or bringing your dog to work, on a regular basis will enforce your culture and instill a feeling of trust in your team. Think about a founding story. Excellent stories will instill a sense of pride in your colleagues and also inspire investors and stakeholders to work with you. It will become a legend when you scale up. Determine a purpose for your company to share. Most companies start with ‘what’: what is your service, what is our product, what can I sell. However, if you start with motivational aspect of ‘why’, you will strengthen your culture from within. Many business managers may think that company culture is a soft metric that is impossible to track, but it can — and should — be measured, according to Darren. In the book ‘Culture Map’, written by Paris-based American writer and professor Erin Meyer, the author describes dimensions to measure any culture and contains recommendations on how to build strong cross-cultural team. Using it as a reference, Darren impressed an audience by presenting Makers Boot Camp culture map and offering practical tips to help us navigate subtle cultural cues.